~♥The Riku♥Naminé Fanclub♥~ "Naminé. She's a wonder!" 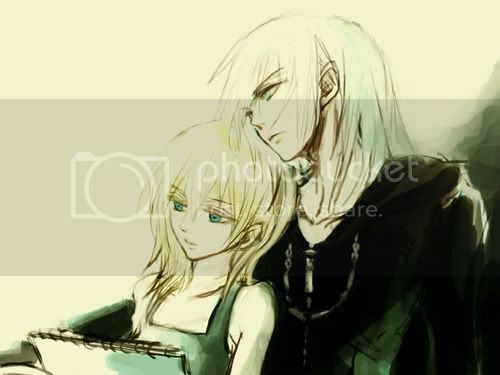 When Namine and Riku first met face to face there was obvious chemistry. These two would later work together for one common goal, to help Sora. But something happened during the year they worked together a relationship was created. It's never actually established what kind of relationship but they do show some level of trust, and care. This is to Namine and Riku. The only female that Riku acknowledge, doesn't treat like a tool or trophy, and doesn't care about her just because of who she's connected to: Namine. 1. It's never really said why Namine helped Riku out in CoM. He isn't her friend and she doesn't owe anything, she planely did it out of the goodness of her heart. 3. Riku seems to trust her to take care of Sora despite what she did to him(Sora). 4. 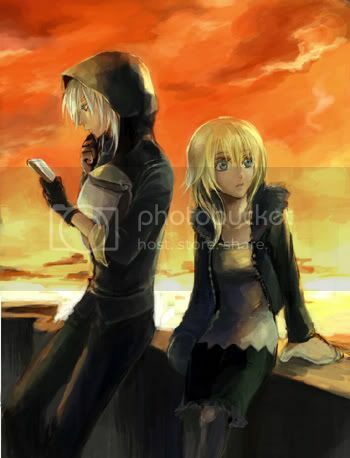 Riku is amazed by Namine and thus called her a "wonder". 5. Namine believes in Riku and thinks he's strong enough to stop his own problems. 10. Rkiu doesn't kill Namine like DiZ ordered him to do. 11. Riku knows enough about Namine that he is surprised to who Namine is Kairi's nobody cause he knows them both on a personal level. 12. Riku didn't even know that Namine was Kairi's nobody untill KH2 so how he treated her in Days and CoM was because of his own POV of her. Re: ~ The Riku Naminé Fanclub ~ "Naminé. She's a wounder!" Mind if I try to find more pics? Mind if I join this thing?